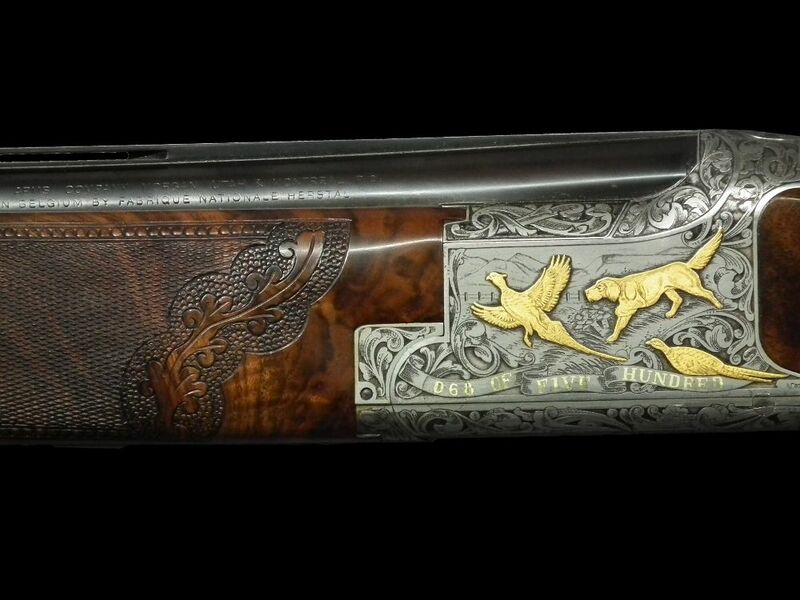 Browning gold classic one of five hundred, limited edition. 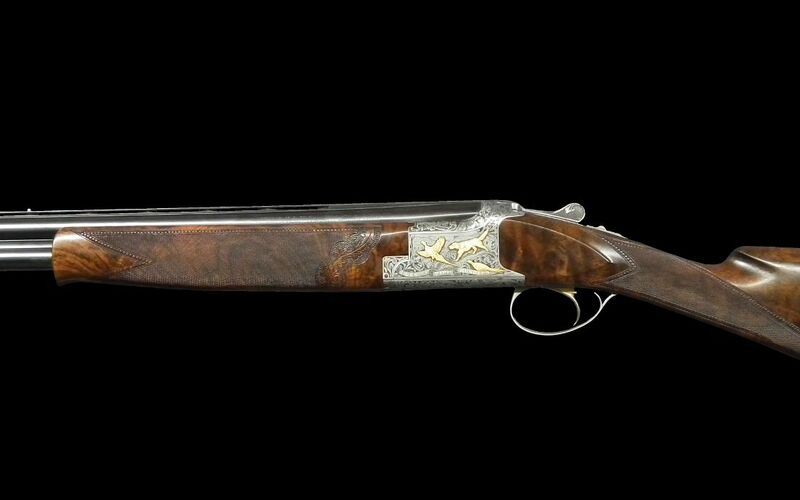 A little used and well cared for example of an extremely rare gun. Bold engraving with gold accents. 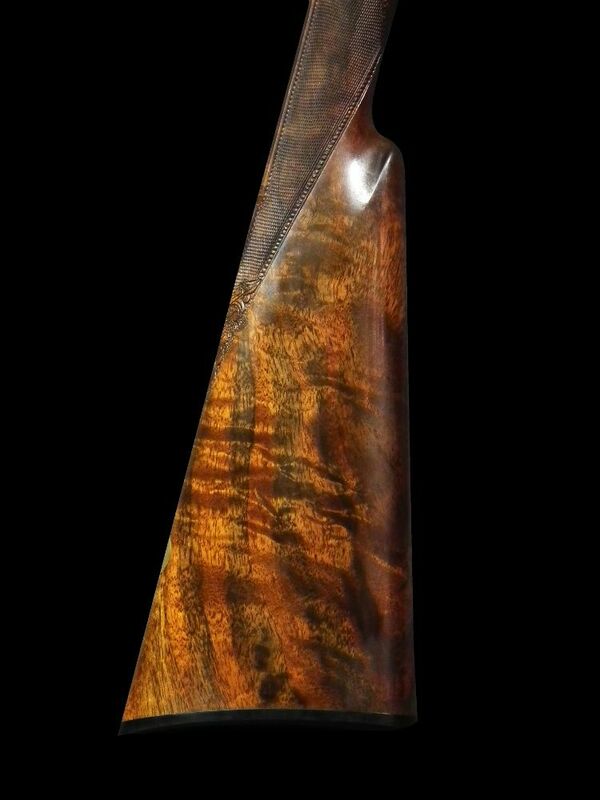 Straight hand stock and offered in a Browning custom shop leather case. Must be handled to be fully appreciated, this is a finely balanced and superb handling gun. Barrels 26 1/2", Choked IMP / 3/8", chambers 2 3/4"